Mwanza is a major port city on Lake Victoria in northern Tanzania. Famous for tea, coffee and cotton plantations, this city is a hub of agricultural trade. The Sukuma tribe lays claim to the rich heritage of the city’s interesting cultures. 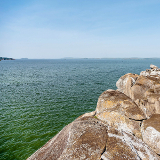 A trip to Mwanza is not complete without exploring Lake Victoria, its surrounding islands and the Serengeti National Park. Cheap flights to Mwanza are now available for a limited time only, so book your flight today and experience the thrilling wildlife and magnificent scenery of this city! Mwanza is home to Mwanza International Airport (MWZ), a 25 minute drive from the city centre. 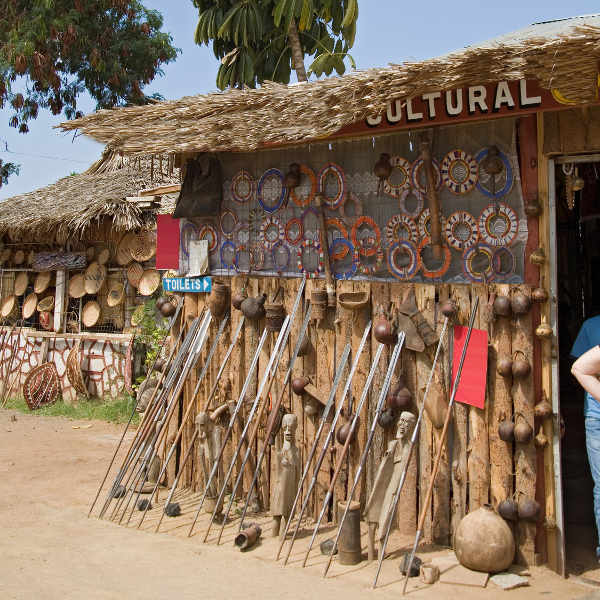 To appreciate the heritage of Mwanza, a tour around Capri Point Peninsula and a visit downtown will show you a glimpse of its history and the German, British and Indian influences embedded in the architecture and cuisine. 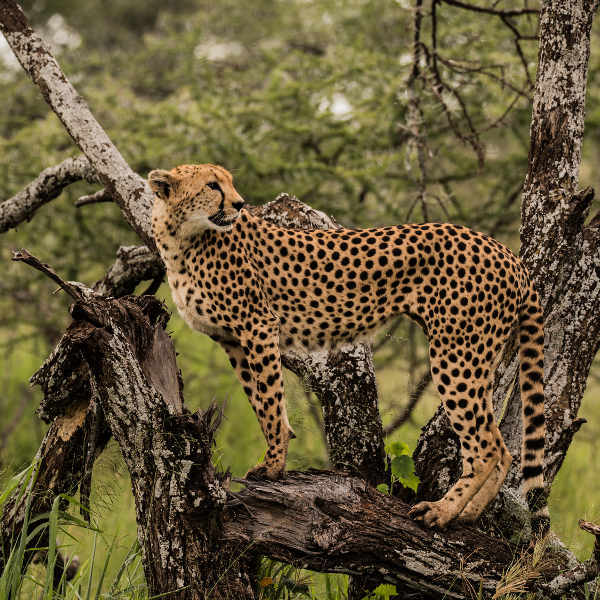 No visit to Mwanza is complete without a safari trip in the Serengeti National Park. Arrange a day tour or stay overnight and see these majestic wild animals in their natural habitat. What better way to wake up and see the sunrise over Lake Victoria? Whether you’re boating on the lake, watching the sunset from Bismarck Rock or hiking through the bush trails, you’ll be amazed at the natural landscapes. 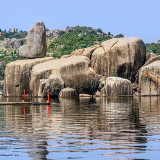 Mwanza has lots to offer tourists all year round! 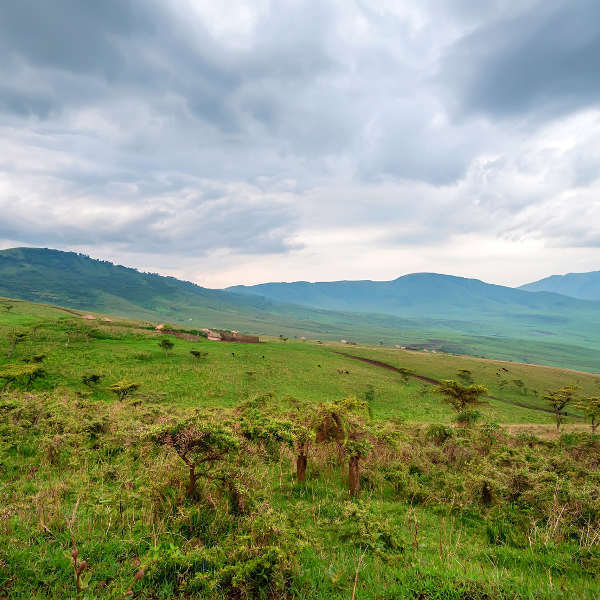 If you’re planning on doing safaris and hiking, the best time to visit is during winter (August to November) when temperatures are a bit cooler and there is less rainfall. The rainy season, occurring between December and April, sees the landscape blossoming with wild orchids. This is low season and you may want to take advantage of the fewer crowds, enabling you to acquire a greater appreciation of the landscape and local people. This is not an ideal time for hiking, as roads and trails may become muddy and slippery. Mwanza is a port city on the southern shore of Lake Victoria. After Dar es Salaam, it is Tanzania’s second largest city and the economic heart of the lake region. Owing to the many mosques and Hindu temples, central Mwanza has a distinct Asian feel to it. In the area between Temple Street and Post Street, you will find many Indian shops, and to the southeast is the bustling Central Market, where you can buy almost anything you desire. Expect to bargain with the merchants! From Mwanza you can take day trips to the various islands in Lake Victoria, such as Ukerewe, Ukara and Rubondo, which is also a national park, with plenty of birds and animals to see. Any tourist visiting Mwanza is going to take the two and a half hours’ drive to Serengeti National Park where you can choose to embark on a day safari or sleep over in the park itself for the full African experience! Compare multiple airlines and book cheap flights to Mwanza with Travelstart! The only required vaccination for entry into Tanzania is Yellow Fever. It is recommended to also get vaccinated against Typhoid as food hygiene is sometimes poor and it is easy to pick up an infection or stomach bug. 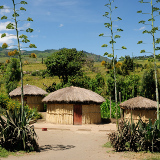 Malaria is highly prevalent in this region, so it is recommended to take medication before, during and after your stay. Mosquito nets and a strong insect repellent will definitely help to minimise the risk of being bitten. Use sunscreen and drink plenty of BOTTLED water! Mwanza is a fairly safe city; however, the usual safety precautions do apply. Never leave personal items unattended and beware of children coming up to you to distract your attention and pick-pocket. Do not walk around flashing valuable items and never walk the streets at night, no matter how close your hotel is from where you are. Taxis are affordable, so rather flag one down and get a safe ride home. You will be spoilt for choice with accommodation options in and around Mwanza’s central district. There is an abundance of hotels and lodges to choose from, ranging from more affordable options, to high-end luxury resorts and tourist hotels. The city centre offers many hotels and guesthouses catered to business travellers and tourists, in close proximity to shopping areas and popular restaurants and cafés. For a romantic stay, there are idyllic beach resorts and lodges along Lake Victoria, offering splendid accommodation in the midst of Mother Nature. A good way to get from Mwanza to neighbouring towns is by public buses called ‘daladalas’. Note that these buses can be crowded and slow, though at only 300 TZS for a trip, you may want to buckle up and embrace the wilder side of African transport. Taxis are available but more difficult to spot as they are not clearly marked. Another option for zipping around is little motorcycles called ‘pikipikis’, easily spotted at intersections. There are many bus routes, departing from the centre of town. Speak to your hotel staff to find out about the best company for your route and to confirm prices. Of course, there is no better way to explore a city in its natural glory than by walking around; just don’t be on the streets at night as you may become a target for pick-pocketing.